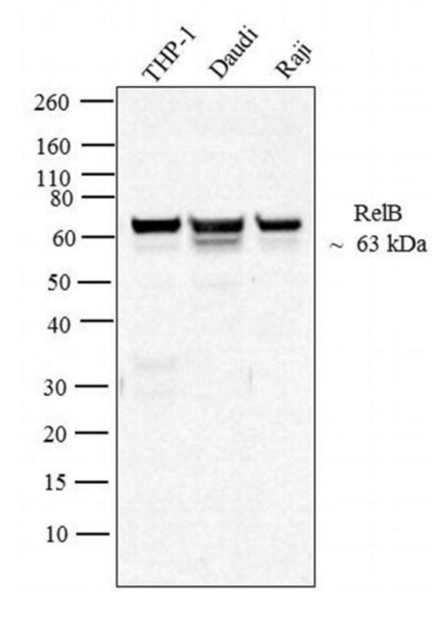 Mouse anti-RelB antibody, clone 17.3 recognizes the transcription factor RelB, also known as I-Rel. 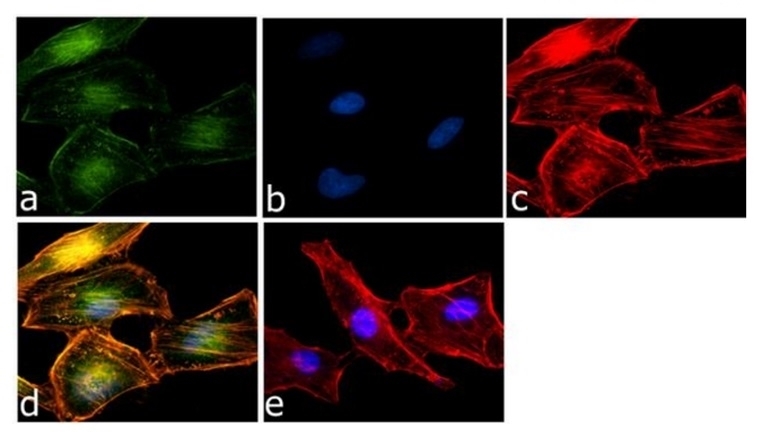 RelB is encoded by the v-rel avian reticuloendotheliosis viral oncogene homolog B gene and is a critical component of the NF-kappa-B pathway. Upon cleavage of the NF-kappa-B p105 and p100 subunits into the NF-kappa-B p50 and p52 subunits, RelB forms RelB-p50 and RelB-p52 heterodimers. These dimers act as activators of transcription by binding to kappaB sites present on DNA (Oeckinghaus and Ghosh 2009). RelB-p50 and RelB-p52 binding induces the expression of genes mediating immune responses, inflammation and apoptosis (Jing and Lee 2014). Misregulation of the NF-kappa-B pathway has been implicated in a variety of disease states including autoimmunity and cancer. As the NF-kappa-B pathway has been demonstrated to be constitutively active in a large group of tumors, developing NF-kappa-B inhibitors has emerged as a new cancer therapy approach (Chaturverdi et al. 2011 and Baud and Karin et al. 2009).